Help a young doctor, Tifet, stop the deadly disease that is afflicting his father! You`ll race against the clock as you try to prevent this illness from spreading through all of Heliopolis! 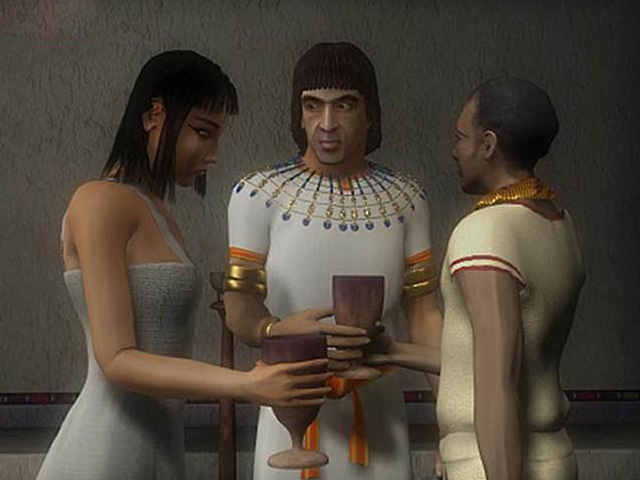 This intense Large File Adventure game puts you in the middle of beautiful Egypt during its most prosperous time. Discover a deadly conspiracy and prevent it from occurring in Egypt II: The Heliopolis Prophecy! 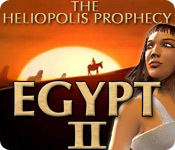 Egypt II: The Heliopolis Prophecy is rated 4.6 out of 5 by 7. Rated 5 out of 5 by iraqidesertmp from Egypt II The Heliopolis Prophecy This is one of the best games ever made. The innovative 3D effects is what makes this game the best in the world, followed by the story line. After this game was launched by Big Fish, I thought that because the popularity of this innovative 3D game plus the story line; more 3D games made by this artist will follow. Rated 5 out of 5 by SilkSpectreII from Lovely and charming, did not disappoint. I remembered this game from when I was a kid, I played it when I was 9 years old. Images and vague memories of this game often still came back to me now I'm 22 so I decided to dig up this old game, remembering how much is intrigued me. When I found it in a closet full of old games and I put one of the cd's in my laptop to install it I was disappointed, the 32-bit game couldn't run on my 64-bit Windows 7. I tried everything to run it in compatibility mode with no luck. Luckily I came across bigfishgames, downloaded it and it worked like a charm! All the nostalgic memories came rushing back and I remembered why I loved this game so much as a child. It's visually intriguing especially if you have a deep interest in Ancient Egypt, the puzzles are fun (even the musical drums one), and it has its sense of thrill. I would definitely recommend this game and I appreciate bigfishgames for bringing this game to a compatibility that can be played on computers of our time. Will definitely cherish this one and look forward to trying Egypt III one that I never quite got to back in the day. Rated 5 out of 5 by coha92 from AMAZING GAME!!!! I love all long files games and this one was another beautifully done game. I felt like I was part in a movie. I played until I finished! I takes about 5 hours to complete it. The only con I found is that I wasn't able to save the game. The puzzles were some how challenging but nothing you can do without help. Rated 5 out of 5 by Sergeij from An Early Kheops Effort Pays Off Very Well! This game is an early effort by the Paris-Based Kheops Studio and its capable director, Benoit Hozjan. 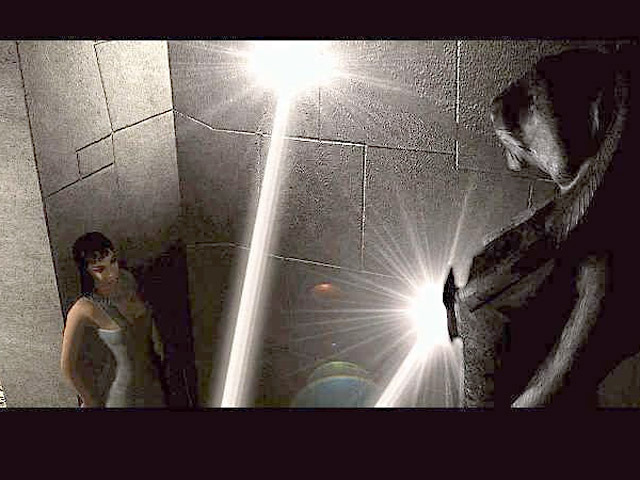 And though the graphics during game-play were not the best, the cutscenes were quite good. The plot features a voluptuous beauty, one Nefermaat, known as Tifet, throughout the game. She is a physician who is trying to save her city from a terrible disease which is due to "crooked" politics and coverup, much like "Watergate." In any case, the plot was a strong and compelling one, and was quite true to form and factual. Kheops even used the Department of Antiquities of the famous Louvre, in Paris, and a bonified Doctor of Egyptology, Isabella Franco. The voices were exceptionally good, with Emma Deschandol playing Tifet. My only complaint was the unwieldy and wild mouse control. This was an excellent game, and I applaud Kheops for another great game! Rated 5 out of 5 by EgoDarling from Nice old style adventure This is old style adventure, not modern moving from HOS to HOS looking for other tool or piece of strange lock. There are many dialogs, much moving from scene to scene, no journal with tasks, no hints, no HOS, no skip button . Story is cute, nothing dark otherworld creatures. I recommend this game, if you like such games. Gameplay was a pleasure to feel nostalgia for something old-old, that even don't work now. Player need to think where to press sometimes, even in menus. Puzzles and tasks wasn't hard too mostly. I was stuck few times only, used Blog Walkthrough. Had some video problems with this game, nevertheless I love it really. Rated 2 out of 5 by HappyGrandma38 from Poor game . When I bought this game the picture were awful. When I discussed about that with the technicians they it because of my video card. . The story is annoying as you have to go from one the place and return all the time. I played one time only and that's all. Help a young doctor, Tifet, stop a deadly disease from spreading through all of Heliopolis in this intense Adventure game!